Products containing synthetic cannabinoids possessing psychoactive properties similar to marijuana if ingested, have been banned in a number of states -- and more are currently considering bans -- but are not illegal under the federal Controlled Substances Act. Not yet, anyway. Last week, Sen. Orrin Hatch, the powerful Utah Republican, sent a letter to the DEA asking the agency to use its emergency powers to make synthetic cannabinoids a Schedule I controlled substance. Sold under names such as K2, Spice, Yucatan Fire, and Solar Flare, among others, the stuff is marketed as incense or potpourri and can be found at smoke shops, head shops, gas stations, and other retail outlets in states where it is legal. It is also easily available via the Internet. Users seek to replicate the high of marijuana without the attendant legal risks, but according to the American Association of Poison Control Centers, they sometimes get more than they bargained for. The centers issued a report Monday saying that they had received more than 2,000 calls about synthetic cannabinoids so far this year. Symptoms reported included nausea, rapid heartbeat, elevated blood pressure, anxiety, and disorientation. While the centers reported that some symptoms can be "life-threatening," there are no known cases of a fatal synthetic cannabis overdose. "Young adults and adolescents are turning to 'Spice' as a form of legalized marijuana, Hatch wrote in his letter to DEA acting administrator Michelle Leonhart. "Currently, almost two dozen states have passed legislation identifying spice as a controlled substance. I am requesting your assistance in having the Drug Enforcement Administration exercise its emergency scheduling authority to classify Spice as a schedule I substance." 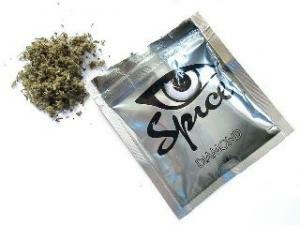 Spice use in Utah was at "epidemic proportions" among the state's youth, Hatch complained. If the DEA accedes to Hatch's demand, synthetic cannabinoids would be officially considered drugs with no accepted medical use and high potential for abuse, like marijuana, LSD, and heroin. Sales would be banned, and their users and sellers would be subject to federal prison sentences. 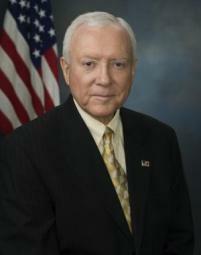 But Hatch's demand is no guarantee the agency will act. The DEA has had salvia divinorum on its list of drugs of interest for close to a decade now and has still not moved to make it a controlled substance, even though it has been banned or restricted in more than a dozen states. The Polish government announced Monday that it has shut down around a thousand stores that sold newly-emerging synthetic drugs, such as mephedrone and preparations containing synthetic cannabinoids (marketed under names like Spice and K2 in the US). It is also moving to amend its drug laws to cover such substances. "The state will not flinch when it comes to using all legal means available in the struggle against these substances," Justice Minister Krzysztof Kwiatkowski told reporters Monday. "This is going to be a long and difficult fight because our opponent is extremely well-prepared, rich and determined," said Kwiatkowski. The synthetic drugs have made headlines in Poland in recent weeks, with several users being hospitalized. There have also been a handful of deaths that have been attributed to the synthetics, though the actual connection between use of the substances and the deaths remains unclear. In an operation beginning last week, police and health inspectors sealed the doors of stores selling the drugs. But that was just the beginning, Kwiatkowski said. He said the government would enact legislation to plug loopholes in the existing drug law, including adding a three-year prison sentence for anyone who supplies minors with a substance posing a risk to their health or life. Another proposed amendment would allow health inspectors to pull from the shelves for up to 18 months any substance suspected of being harmful. It won't be without a fight. The owner of a chain of shops selling the new synthetics told the newspaper Polska he planned to sue over the state's closure of his shops. More than a dozen US states and numerous municipalities have banned K2 and Spice, but it remains legal under federal drug laws. Mike Meno, director of communications at the Marijuana Policy Project, opines that K2 bans are misguided because they don't address the core issue: millions of Americans want to use marijuana, or something that will mimic its effects, and if they're afraid about illegal means of doing so, they will continue to seek out legal alternatives. Pennsylvania saw medical marijuana bills HB 1393 and SB 1350 introduced last year. A Franklin&Marshall poll found that a whopping 80% of residents support the legislation, this was across the political spectrum. Medical marijuana is currently the most broadly supported policy issue in Pennsylvania. Still, PA residents with serious medical conditions are waiting for the General Assembly to hold even a Committee level vote on the bills. Since the issue is enjoying such strong backing from the voting public you’d think that medical marijuana would become positive political capital in an election year. But politicos do not know how to handle the numbers: They pop champagne bottles when their polls hit the high 30s…dare we say 40s. This whole range of 60-80 percent is new ground. Instead of helping ill residents with an affordable, local health care alternative by legalizing cannabis therapy elected officials decided that they would rather spend their time banning something new. This week the Pennsylvania House Judiciary Committee unanimously (24-0) voted forward HB 176, a bill that would ban a new set of chemical fad drugs. Legislators and the media are incorrectly labeling the substances “fake pot” or “synthetic marijuana” but the compounds are not at all like natural cannabis. They are more akin to chemical inhalants. The fad drugs are sold as packets of incense with hundreds of label names like “Spice” or “K2.” Bans in other states have been completely ineffective as the ingredients are changed and access is readily available online. Users seek an undetectable high. Because these chemicals are nothing like marijuana, users can pass all standard workplace drug screens. There are no intoxication urine tests or police field tests for the drugs. Tests would not be mandated by HB 176 and would be expensive to develop. Some of the Spice/K2 type compounds contain synthetic cannabinoids; some contain already controlled substances. The truly dangerous part about these chemical drugs is that the ingredients are wholly unknown and the chemical recipe varies among the hundreds of brands. Now, Harrisburg is literally creating a new drug problem in Pennsylvania where there was none previously. It is a horrifying, textbook example of why prohibition policy does not work. As a marijuana reform advocate in Pennsylvania, I am getting a Kafkaesque front-row seat. These politics are playing out on the streets of Pennsylvania. Residents are being told there is a legal high available, somehow like marijuana, and they are eagerly seeking it out. HB 176 has been the most effective marketing and advertising tool for these chemical drugs, ever. There was little awareness of these Spice/K2 type chemical drugs locally before the bill was introduced to prohibit them. The intention of HB 176’s more than thirty legislative co-sponsors is to quell the use of the Spice/K2 type drugs. Of course, the narrative taken by these legislators and the media to the public is having the opposite effect, causing a tremendous spike in interest and real-world use. An effective deterrent might be having several Spice/K2 brands tested for their actual ingredients. Publishing the long list of strange and nasty chemicals in this stuff would keep many residents away from it. Legislators could stand in line with overwhelming public support for a positive health solution with medical marijuana. Natural marijuana is safe, effective, non-toxic and non-lethal. Humans have been using it for thousands of years. We have had doctors, severely ill residents, medical experts, religious leaders and community leaders testify in favor of medical marijuana. A flood of written testimony and emails has come in from all corners of Pennsylvania to support medical marijuana. But, instead of heeding this call, elected officials are moving full-election year-throttle ahead with another senseless, ineffective prohibition. This could leave Pennsylvania to deal with another new drug problem, of its very own invention, for years to come. Missouri has become the latest state to ban products containing synthetic cannabinoids, with Gov. Jay Nixon signing into law this week a bill making them and products containing them controlled substances in the state. The law goes into effect August 28. Products under names such as K2 and Spice contain the synthetic cannabinoid JWH-018, synthesized by a Clemson University scientist more than a decade ago for research purposes. While the products are marketed as incense, most people buying them use them to achieve a marijuana-like high. Their use has been linked to adverse effects, including vomiting, hallucinations, and agitation. K2, Spice and similar products began appearing in Europe in 2006 and started showing up in this country last year. They are now banned in most European countries, but not in the US, although the DEA has labeled JWH-018 a "drug of concern." An increasing number of states are not waiting for the feds to act. This year, K2 was criminalized in Alabama (the same law also outlawed salvia divinorum), Arkansas, Georgia, Kansas, Kentucky, Louisiana (effective August 15), North Dakota, and Tennessee. Similar legislation has been proposed in several more states, including Florida, Illinois, and New York. In a Monday statement, Georgia Gov. Sonny Perdue (R) announced he had signed into law a bill outlawing the sale and possession of synthetic marijuana in the state. Georgia is the latest in a growing number of states that have moved to criminalize K2. K2 is just one of the names for herbal preparations powdered with a synthetic cannabinoid, JWH-108, created by Clemson University organic chemist John W. Huffman in the mid-1990s. Products sold as Spice, Genie, and Zohai also contain the compound, which produces a high similar to marijuana. The Georgia bill, HB 1309, places K2 as a Schedule I controlled substance alongside heroin and above cocaine, Ritalin, and opium, which are all Schedule III. The bill passed by a 148-2 vote in the House and a 48-0 vote in the Senate. "K2 is a potent drug that can be difficult to detect," said Gov. Perdue. "Adding it to our state's banned substances list will protect Georgians' safety and health." While most users report pot-like highs, some have been showing up in hospital emergency rooms complaining of hallucinations, paranoia, seizures, and vomiting. Dr. Anthony Scalzo of the Missouri Poison Center in St. Louis told USA Today that reports of ER visits for K2 were spreading rapidly. "At first we had about a dozen cases, but then it really blossomed. By the first week of April, we had 40 cases," said Scalzo. "Missouri remains the epicenter, but it's spreading out." There have been 352 cases of K2 poisoning in 35 states, he said. Synthetic cannabinoids were banned in Kansas in March and Kentucky in April. An Alabama ban goes into effect July 1, while legislatures in Missouri and Tennessee have passed bans that will go into effect absent a gubernatorial veto. Bills to ban K2 are also under consideration in Illinois, Louisiana, Michigan, New Jersey and New York. It is also banned by a number of municipalities scattered across the county.